Nigerian fast rising music sensational artist "2Jay" is out this new month with a new hit rap single titled "Letter To Mi Abaga". A song he used to remind Mi Abaga the chairman about his words when he started music new, things he said he will do for the street guys with good talent but since he became famous,it seems Mi abaga had forgotten his words and promise. this is not a beef song but a song for the street and for all. 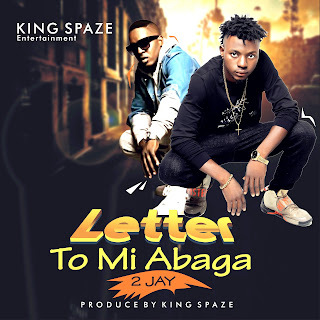 Enjoy Letter To Mi Abaga By 2Jay.